Diary of a Children's Book Writer: I'm off! 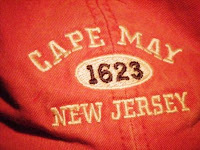 So, I'm off to Cape May, NJ and won't be checking into the blog-o-sphere for a while. You know, I haven't read any of the HP books, and you've given me incentive to get started. Thanks! :-) IMHO! But it is a quick read, and I'm glad I read it so I know what everyone is talking about. Beth - thanks for the advice because I really was struggling. So far no one has killed the surprise of the last HP book. everyone's been biting their tongues. Anytime I see an interview with JK about it, I quickly turn to another thing. So I have really kept myself in a bubble. I feel like that bubble is about to accidentally burst the longer I wait. So on to book 7 *sniff* and final. Hey Chris - so glad you kept your real picture! It is my fav of all the choices! So Twilight is just fluff or less then, aye? OK then, I really am off to book 7 of HP and DEFINITELY, Chris, you MUST read them. I snuffed them at first, but am sooooooooo glad I came to my senses. It's not gorgeous prose, or beautiful literature. It's just an intensely woven world that I can't imagine how many sleepless nights JK must have put into to tying all those loose strings. Amazing! Happy vacation! You are already missed! It's likely that once you start Twilight you'll have to read them all. So, I think you'll get more out of the final installment of HP if you read it with all the details still fresh in your mind! There are a ton of tie-ins from the other books! Have a wonderful and safe trip! Make LOTS of happy memories!!! Thanks Angela, we did. It was perfect weather! And we saw dolphins today!